I was talking to Burt Baits boss, Tony Wynnick, the other day and he said he’d send me the latest addition to the range, Chocolate Orange, to try out. A package duly arrived and as soon as I opened it, it certainly did what it said on the tin as a gorgeous chocolatey, orange aroma hit me. As I said earlier, the smell was amazing and I hadn’t even opened a bag yet! 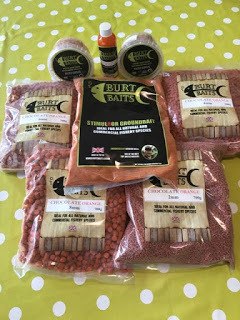 For my first outing with it I was heading to Summerhayes where I like to target the silvers, normally using expanders over micros but I haven’t been there for a while and people have been catching well with maggot over groundbait so it would give me chance to try both approaches. I always dampen my micros the night before so put half a bag in a bait tub and when I covered the micros in water, the already gorgeous smell became even more intense and the pellets went from being a rather pale, pastel orange to bright, vivid tangerine colour. In the morning, the micros had softened up nicely but had still retained that lovely smell. The weather turned out to be absolutely awful with loads of rain and strong winds but I still managed over 32lb of carp and silvers and caught well over the micros and groundbait but ended up having to fish at five metres for most of the match due to the wind. 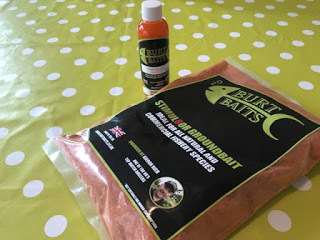 I added a splash of the Chocolate Orange liquid to the water for mixing the groundbait for even more attraction and you really don’t need much, even though it’s quite a small bottle, it goes a long way. 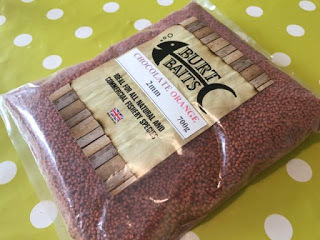 The micros gave off a lovely orange cloud when I cupped them in and I know a lot of top anglers favour yellow pellets and groundbait when they fish coloured commercials but I think orange is equally as visible and this flavour/colour combination is certainly different to anything else out there. The groundbait comes in 900g bags and the RRP is £3.99, liquid flavouring (100 ml) is £4.99, pellets are £3.99 (700g) and the of hook and hair expander pellets are £3.30 a tub.